Kudos Homechoice Planners and Construction Corporation! The project which the company has started constructing last January 8 was successfully completed and turned over on March 13; beating the 90 days contract requested by the client. Thanks to the Plaswall Building System; a building technology that the company has been using for 6 years now. This type of system has made HPCC’s projects easy to finish and deliver; and clients are assured of its great quality finish. 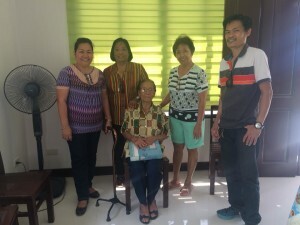 Congratulations to the family for finally moving in their house at Golden Glow North 1 subdivision last March 17. They also held their house blessing that same day. And in behalf of company, thank you for trusting HPCC to be the builder of your dream house. Homechoice Planners and Construction Corporation is always grateful to be at their client’s service. And they are indeed committed to serve their clients.